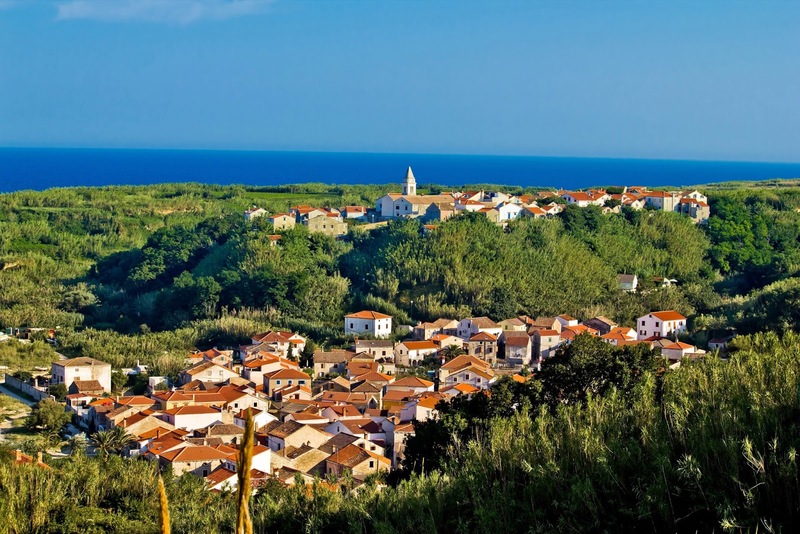 The most distant of any of Croatia's islands, Susak is also probably the most unique. With distinctive dress, language, and customs, even mainland Croatians feel they are in a different land when visiting Susak. With a history recorded mostly by storytelling, there are few print documents to relate the early development of the island, and with a population depleted by several mass exodus events, only about 200 inhabitants remain. 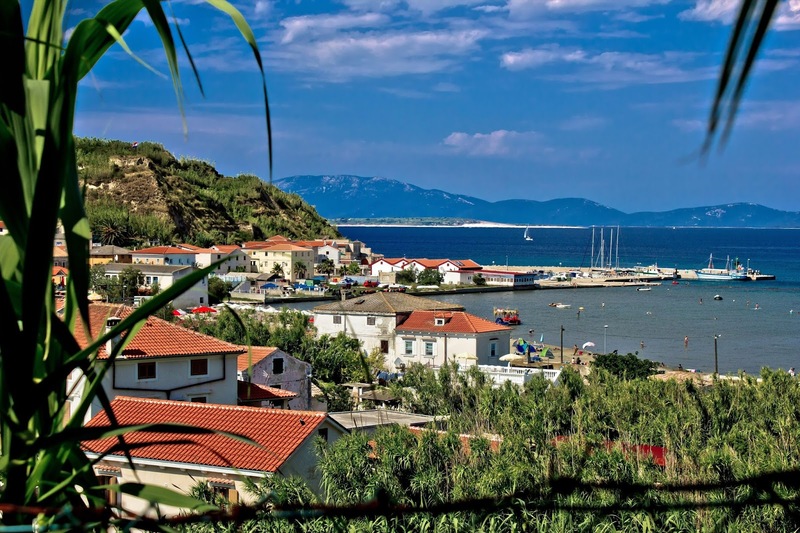 The island's name is thought to have been derived from the Greek word for oregano, a prolific herb on Susak. Another distinctive feature are Susak's sandy beaches, the result of sediment from the Po River during the last Ice Age. With some history and artifacts retained by the Benedictine monks, the hilltop portion of the two-part town also gives a pretty view of the harbor and horizon line. Tourism is big on the island, and it is not surprising, considering the delightful results of the labors of its vintners, farmers, and fishermen. Take one of the "passenger only" ferries to Susak by driving to the dock at Mali Losinj, or hop on the fast catamaran from Rijeka to Susak. Susak (also known as Sansego, a Greek word meaning oregano which grows on the island) is a small island near Losinj island on the northern Adriatic coast of Croatia. The island is very small, with an area of 3.8 km2 (1.5 sq mi). Less than 200 natives live on the island and they speak a unique dialect which is very different from standard Croatian. Another great resource is www.otok-susak.org. 1. Geocaching: Search for hidden treasures. 2. Learn to swim: Beaches such as Spiaza or Bok are perfect for learning to swim. 3. Staircase: For many years, it was the only path which connected the two villages. 4. Snorkeling and Diving: The most interesting place to dive around Susak is the Obis cove. 5. Jogging: Covered by fine soft sandy material, Susak makes jogging perfectly safe and enjoyable. 6. Lighthouse on Garba: Built in 1876; lighthouse keeper and his family still live there. 7. Observation Outpost: Built by the Yugoslav army; served as early warning post for the military base. 8. Walking Trails: Interesting trails include trail to cape Darto and trail to Nasuzanski and Obis coves. 9. Veli Buoh: Romanesque crucifix from 12th century. 10. Margarina Cave: Explore two sunken cargo ships. 1. No 13: Mediterranean, Croatian cuisine; Susak bb, Susak. 2. Konoba Vera: Croatian cuisine; Susak bb, Susak. 3. Osmanova slasticarna: Cake shop; Donje selo bb, Susak. 4. Konoba Barbara: Seafood, Croatian cuisine; Susak 610, Susak. 5. Bar Palma: Ordinary bar; Donje Selo bb, Susak. 3. Apartmani Matijasec: Apartments; 2-star; $; Donje Selo bb, Susak. 4. Kuca Krvavica: Rooms; 2-star; $; Donje Selo bb, Susak. 5. Apartmani Sarson: Apartments; 2-star; $; Donje Selo bb, Susak. See ART Google Map for additional recommendations of places to see and things to do on Susak Island.